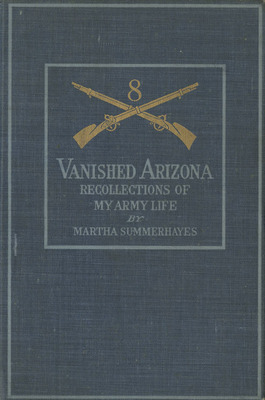 Summerhayes, Martha , “Vanished Arizona: Recollections of My Army Life ,” Arizona 100: Essential Books for the Centennial, accessed April 21, 2019, http://speccoll.library.arizona.edu/online-exhibits-dynamic/az100/items/show/186. 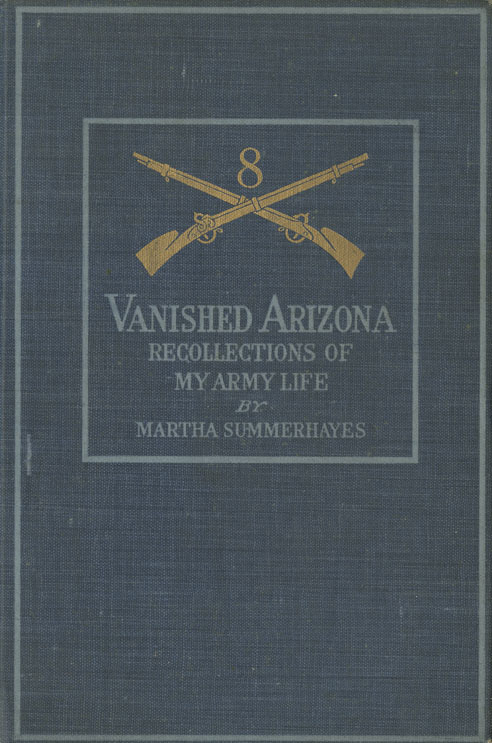 In her classic account of army life, Summerhayes records with nostalgia, humor, and unbounded affection the experiences of a young bride released from the confines of Victorian propriety in a strange and fascinating country. 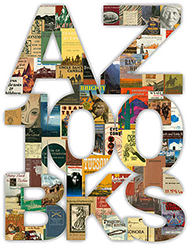 Her descriptions of military manners and customs, people and society, and the day-to-day adventures of a woman on the untamed frontier comprise a rare portrait of Arizona during the Indian Wars told by someone equipped with a discerning eye, a fluid pen, and endless curiosity. --Bruce J. Dinges. Philadelphia : J. P. Lippincott, 1908.